Incredibles 2 is Exactly How You Do a Sequel: I’m really trying to resist the obvious incredible comment, but it’s true—it’s incredible. Hotel Artemis Brings the Style and Action: Have you ever heard the plot to a movie and said “Sign me the eff up”? That’s what this movie was for me. Oceans 8 is a Waste of a Heist Movie: I wanna see an ensemble cast of women come together and pull off a crazy, off-the-wall stunt with the power of cleverness and quick thinking. That’s exactly what you get with Oceans 8. An impossible heist. A group of cool, glamorous women. And . . . there’s not much substance beyond that. Here Is Your Spoiler-Free Avengers Infinity War Review: Let me put your minds at ease. The movie is great—like, “spring for a movie theater that lets you drink alcohol in a reclining seat” great. Rampage is Exactly What You’re Expecting: Listen, this movie is stupid, but it’s a fun kind of stupid—the kind of stupid you find yourself smiling about when you leave the theater. It reminds me of the fun I had with the original Mortal Kombat movie: a guilty pleasure I watched so many times that I can still quote it today. Where Does Tomb Raider Fall on the Video Game Movie Scale: I have a feeling that if you’ve been watching video game movies since the ’90s—or even if you’ve just been watching the latest batch (Assassin’s Creed and Resident Evil: The Final Chapter)—you probably already knew that this wasn’t going to be extraordinary. 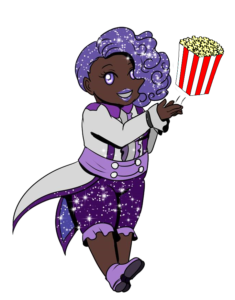 A Wrinkle in Time Celebrates Black Girl Magic: When you’re an awkward, nerdy black girl with a Super Nintendo and a stack of Sonic the Hedgehog comics (don’t judge me), this is the kind of movie you want to see. I can only imagine my reaction to this had it come out when I was Meg’s age, but I can tell you this: my almost 35-year-old self shed plenty of tears in the IMAX theater. Black Panther is a Different Kind of Civil War: Black Panther delivers a culturally relevant conflict through slick fight scenes, stunning performances, and awe-inspiring storytelling. It’s something that all audiences can comprehend, and it’s something that I hope we all continue to discuss from here on out. In the Justice League Movie, Things Actually Come Together: Even with the movie’s flaws, if you’re a fan of these characters or just a fan of a superpowered throwdown, you should grab some popcorn and give this a watch. This has been a good movie year for DC, and I’m actually looking forward to seeing what they do next. And I never thought, when I first sat down for this screening, that I would be able to type that. With a Great Reboot Comes Great Responsibility in Spider-Man: Homecoming: I can’t really speak to whether or not Spider-Man: Homecoming remains true to the comics, but I can speak the fact that Tom Holland’s young, optimistic, eager-to-save-the-day Peter Parker speaks to the audience. Wonder Woman is a Movie with Character: When you treat your female characters as actual characters and not tools to move the plot along for someone else’s benefit, you get a real wonder of a movie. Prepare a Team of Teenagers with Character Development: A look at the 2017 Power Rangers movie and how the new cast breathes new life in the franchise we’ve loved since the 90s. Hidden Figures Reminds Us That Black Women Are Important, Period: It’s not just NASA that black women have contributed to, and it’s about time they’re given the respect they deserve.